The signing ceremony took place following a meeting of the intergovernmental commission on economic cooperation between Russia and Uzbekistan. The agreement provides for cooperation in the design and construction, as well as the commissioning and operation of a nuclear power plant consisting of two power units based on a water-cooled power reactor under a Russian project with the installed capacity of each power unit up to 1.2 GW on the territory of Uzbekistan. Uzbekistan and Russia began cooperation in the field of using atomic energy for peaceful purposes after signing an intergovernmental agreement on cooperation in late 2017. It came into force on April 1, 2018. The document assumes joint work in a number of areas, including the construction of nuclear power plants in the republic and the development of uranium deposits. 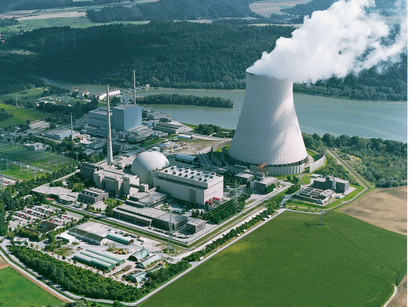 Earlier, Moscow offered Uzbekistan to build a nuclear power plant with two new generation power units in the country. During the visit to Uzbekistan, Rosatom corporation’s head Alexei Likhachev announced that Rosatom is ready to build the most modern two-block nuclear power plant in this Central Asian country. “Our proposal is to build a station of two modern blocks of the “three plus” generation VVER-1200 here in Uzbekistan, at a time when the Uzbek side considers acceptable. We have very solid experience in the construction of such stations,” he said then. This NPP project will have a huge national importance for Uzbekistan as it would allow diversifying Rosatom’s own energy complex and ensuring energy security of Uzbekistan, according to the director general. The construction of nuclear power plants will create about 5,000-6,000 jobs, and 1,500-2000 jobs will be created during the operation of the station.